Celebrating a Simple Life has a perceptive post this morning. Ostensibly, it's about giving meaningful praise to children's artwork, but I say her wisdom has a much wider application, for chldren and adults in all areas of life. Read the whole thing; it's worthwhile, it's short, and it shows a great picture painted by her son. When you give meaningless praise, your kid comes to expect it for every not-so-impressive act they perform. It's exhausting to the parent, becomes meaningless to the child, and sets up a bad habit of being forced to praise mediocrity, with your child knowing full well that the praise is hollow. When you describe what you see, you are telling the child your work is worth examining more closely. You are encouraging language development through your description. You are teaching your child to have a critical eye for their own work. And then when you do offer praise, your kid knows they deserved it. I'm convinced that non-specific praise in any area, for child or adult, usually does more harm than good. It means we're not taking them or their work seriously. It means we're too lazy (tired, busy, etc.) to do our own job right. And it sets up children, especially, for failure in the long run: when praise is unrelated to the quality of the work, how can they improve? When a five-second scribble receives the same fulsome admiration as a 30-minute effort, how do they learn that persistence and hard work make a difference? That's not to say that it isn't important to convey to our children (and others) that we love them because of who they are, not because of what they do. I'm not advocating conditional love. But when commenting on work done, specific and meaningful praise is what both feeds the heart and encourages more and better efforts. With apologies to our Northeastern friends who would like to be done with winter, thank you very much, I just have to say that I LOVE THIS WEATHER! The air conditioner is silent (would that the power mowers, blowers, trimmers, and saws were also), we can have the windows open once more, the humidity is down, and tonight I ditched my shorts for comfortable jeans. I hear the low will dip into the 40's tonight. :) It can't last for long—we'll be back in the 90's by the end of the week—but we're sure enjoying it while we can. Because I'm Still Waiting for "Quiet"
My library copy of Quiet: The Power of Introverts in a World That Can't Stop Talking looks to still be several weeks away, but if you have 19 minutes you can hear a TED talk by Susan Cain, the author. (H/T DSTB) I like that she acknowledges the value of both introverts and extroverts, and stresses the need to use the best talents of the entire spectrum in addressing the problems of today. A Valuable Perspective on "Back to Sleep"
I haven't read the book myself, but was thrilled to find this review of The Truth about Tummy Time: A Parent's Guide to SIDS, the Back to Sleep Program, Car Seats and More by pediatric physical therapist Stephanie J. Pruitt. It's about time someone from the medical profession admitted that Back to Sleep has led to a significant rise in physical problems and developmental delays in our children. What I find especially interesting is that Back to Sleep is only part of the problem. See this article, Shackles for Babies, particularly the comments that follow from another pediatric physical therapist. Babies are being left on their backs during the day as well as at night, despite the known value of "tummy time." What's much worse, many are kept for hours on end in baby entertainment devices and rigid baby carriers that keep them in unnatural positions and do far more damage than leaving them on their backs, but free to move. Scary. Even the strictest adherents of Back to Sleep can make a point of giving their babies freedom to move the rest of the hours of the day. We love having folks over for dinner: good conversation, a chance to catch up, the opportunity to fix dishes that don't work well for two people, and an excuse to make desserts—not to mention inspiration to stop procrastinating on various indoor and outdoor work that needs to be done! The folks who came last night are the best kind, those who cheer the meal with enthusiasm, whether it's an experimental, untested recipe, an old favorite, or plain comfort food. Raclette is Swiss comfort food. More popular even than fondue in Switzerland (according to my favorite authority on All Things Swiss), raclette is an easy meal (at least it is if you don't spend all day on the above-mentioned procrastinated projects). In Switzerland it's even a budget meal; sadly, raclette cheese is a gourmet item here, but well worth it for a festive occasion. I made the meal still more festive by choosing the colorful and flavorful Celebration Blend from Potato Inspirations; interesting potatoes are another food common in Europe but a specialty product here. This is where Swiss purists should stop reading. Instead of the traditional pickled onions and cornichons, we served steamed zucchini and yellow summer squash. To my prejudiced American mind, that's a healthier as well as tastier accompaniment. And we had cherry crisp with vanilla ice cream for dessert. Note: Raclette, the Sequel will be performed sometime during the first two weeks of May. The world lost a wonderful writer today, though at 98 you can hardly say she died young. Dora Jessie Saint, aka Miss Read, was one of my favorite authors. Her stories, almost all depicting English village life, were written between 1955 and 1996. As you can imagine, there was a great deal of societal change over those years, and Miss Read did not ignore it, but demonstrated that good character and old-fashioned virtues never change. Her stories are not exciting, they have little action and less plot. Yet they are delightful, a refreshment to the soul, like a long walk through the countryside with spring all around, or a cool breeze through a garden on a warm summer day. Miss Read has been described as the Jan Karon of England. I enjoyed reading the Mitford books, but that comparison is wrong on so many levels. Not only do Fairacre and Thrush Green predate Mitford by decades, but as a writer Miss Read is immeasurably the superior. This, the second story in The Jesus Chronicles, is a bold, not to say brazen, attempt to show the events of Jesus' life and of the early church through the eyes of the author of the Gospel of Mark. I hadn't planned to read anything more by LaHaye and Jenkins, not after my disappointment with their Left Behind series, which had an interesting premise but could have used writers who were as serious about the story they were crafting as they were about the message they wanted to get across. As I've said before, great writers manage to convey many messages through their works, but people who start writing with a message in mind tend to write mediocre novels. But Mark's Story was recommended by a friend whom I respect, and she backed up the recommendation by lending me the book. Tackling any part of the the Bible though the medium of historical fiction is risky, and I wondered how LaHaye and Jenkins—who so clearly reverence the Book as the written, infallable, word of God—would dare to add to what the Scriptures have to say. Well, they were smarter than me, and solved that problem—not to mention the need to get their word count up to book size—by quoting passages of the New Testament verbatim, and at length. Mark's "story" is merely the lubricant that allows the quotations to slide together into a coherent narrative. I must say that the authors have done a credible job of piecing together the Gospels, the book of Acts, and the letters of Paul and Peter, along with what we know of early church history, while adding only enough new material to make the story flow, to show how Mark might have learned the stories he tells in his Gospel, and to get across their own biases and interpretations. The last should surprise no one who has read the Left Behind books. Unfortunately, that much of the material is straight Scripture I actually found to be a detraction. I'd rather read the Bible itself, because—at least to someone very familiar with the facts—what is added did not give enough story to the narrative. I wasn't eager to turn the page to find out what was going to happen, and the book has none of the character development that makes me happy to re-read books I know almost by heart. For someone less familiar with the New Testament, however, this might be a good introduction. As I said, the authors succeeded in weaving a chronological tapestry from writings that are anything but chronological. And despite my complaints, I may go ahead and read the rest of the series, just to see what they can do with the other Gospel writers. If I think of Mark's Story as one of those modern "specialty Bibles" with denominational commentary, it "works" better for me. I am currently on a schedule of reading one Shusaku Endo book per Swiss grandchild born. I'm definitely warming to his writing, so perhaps I should visit Switzerland more often. This thoughtful exploration of what might happen when innocence and love meet everyday society, though less depressing than most of the stories in Stained Glass Elegies, is hardly the "light, humorous novel" promised in the Introduction. It is, however, uplifting and redemptive. It is also well written, for which credit no doubt goes to both the author and the translator. I especially enjoy the vision of Japan through Japanese eyes, and the small advantage our brief visit to that country has given me. The one part of the translation that strikes me as odd when I read it is the persistent use of the appellation "foreigner" in a way it would not be used in English. Yet when I imagine the speakers saying "gaijin" instead, the language flows and the usage makes sense. Wonderful Fool is Shusaku Endo's gentle and humorous narrative of "mudswamp Japan"—his phrase for the Japanese inner world of moral apathy and insensitivity to God and sin. A young Frenchman, Gaston Bonaparte, comes to Japan for the first time, and we see Japan afresh through his eyes. At first he seems to be the utter fool both in his ugly horseface appearance and slow-witted thought, but he gradually charms those around him as he bumbles through Japanese society, making mistake after mistake. In spite of his mistakes, those around him start to see some endearing qualities in his pure love of both people and animals. Gaston's wanderings take him to the seamier places in Japan, as he spends time in Sanya with day laborers, in Shibuya with fortune tellers, in Shinjuku with prostitutes, and eventually hooks up with a professional killer. His two young hosts, Takamori and his sister Tomoe, are drawn into Gaston's world and forced to take a deeper look at their own lives and values. Both a provocative tale of clashing culture and new-found morals, Wonderful Fool also serves as a kind of guidebook to a hidden Tokyo and Japan that few foreigners may have a chance to experience. A friend posted this on Facebook, and it still makes me smile. 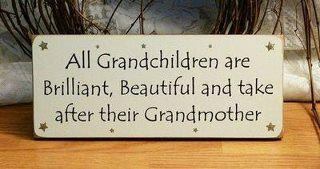 Except for the singular "Grandmother," which just sounds wrong on more than one level. Muttenz is near Basel (four minutes by train, a century later), and the stories are sprinkled with Baseldeutsch, the delightful Swiss-German dialect spoken there. 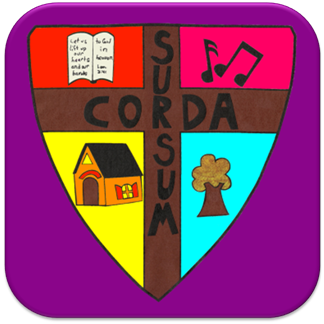 A glossary is provided for each chapter. Driving the several blocks to the train station, Emmy excitedly chattered to her father. "Will we get there in time, Vatti? she asked. "Mutti says we must be there early, so we will not miss the train." "Jo, jo," replied her father. "In a country that makes such fine watches and clocks, of course the Zúúg runs on time. It is up to the passengers to be there early so the conductors can keep their schedule." "The Zúúg, the train, is never late?" "Of course not! We Swiss cannot even imagine such a thing!" her father assured Emmy. ... and also why it's great to be attending a church close to home. And these are only the services we attended/plan to attend; I've left out quite a few. You were the sunniest, most joyfully enthusiastic preschooler I’ve ever known, full of smiles and laughter. Your positive, happy attitude is, and always has been, quickly turned to wrath in the presence of perceived injustice, to others at least as much as to yourself. You love your family intensely, all generations and collateral branches, and work sacrificially to promote family relationships. All your life you have maintained a close, loving, and respectful relationship with your parents. You were a totally delightful, respectful teenager, growing more and more independent without ever rejecting your parents and their values in any important way. You have always found learning to be the “best game of all,” whether begging for math lessons as a preschooler, crafting your own educational program as a teen, or reading and researching voraciously as an adult. You developed the most important skill needed to fuel a lifetime of learning (also useful for excelling in ordinary academic life): the ability—and desire—to teach yourself using whatever materials are available, from textbooks to teachers to life experiences. Your favorite mode of education has been what you call “learning to swim by drowning”—throwing yourself into a new situation, a new instrument, a new language, a new country; putting yourself in a situation where the alternative to learning is failure. Your razor-sharp intellect and grasp of logic can be counted on to ferret out faulty or slip-shod reasoning. Likewise, you readily admit when you are wrong, if presented with a clear, rational argument. Unlike most of us (your parents being chief offenders), you can never settle for plugging numbers into a formula or regurgitating the answer expected by a teacher, but with a dogged determination you wrestle with your studies until you truly understand the material. Equally determined in your relationships, you will not gloss over problems, but wrestle with yourself and others to understand and resolve difficulties. You are a very creative thinker; being self-taught in so many ways has made thinking outside the box second nature. You also live outside the box: You have become the "granola mom" I never knew I always wanted to be. You never conform for the sake of conforming, following the crowd only if convinced by the evidence that the crowd is right, and unhesitatingly taking the road less travelled if the evidence points in that direction. And you are happy to blaze a new trail cross-country if there is no road at all! Your sense of adventure and love of new experiences have taken your from an (unauthorized) solo exploration of the docks of Key Largo at age three, to travelling through Italy on your own, to spending a year in Japan teaching English to high school students, to graduate school (and eventually a home) in Switzerland. You are a talented, skilled, and highly-trained musician who demonstrates with your life that music comes alive when it is made with and/or for others. You have made your home into a place of hospitality, welcome, grace, beauty, joy, and peace (even though your lovely and lively children ensure that nothing is ever too peaceful for too long). You are a loving, giving, thoughtful, disciplined, and inventive mother. You have proven that you have the nerve and determination to push through physical and emotional pain for the sake of those you love and what you believe is right. You are a great teacher, with a demonstrated ability—rare in someone for whom understanding often comes quickly and easily—to see a problem from the student’s point of view, whether helping kindergarten students as a third-grader, tutoring high school students, inspiring Japanese students to enjoy the English language, coaxing enthusiasm out of young piano students, showing your mother the virtues of a “tickler” system, or feeding your own children’s “happy hunger” for learning. You have a good eye for seeing work that needs to be done, and a good will for jumping in and doing it. You are honest and trustworthy in word and in deed. You are careful and wise in financial matters. At the same time, you are generous and giving: of your money, your time, and your emotional energy. Your heart’s desire is to become more and more like Christ each day, and to demonstrate his love in all you say and do. What more could parents desire? This morning's news brought two articles that illustrate the truth that our world is never as simple as we want to make it. This is not the only organization I know where the founder and leader enjoys luxurious living while taking donations from those who can least afford to give. I absolutely don't believe such people should live in poverty themselves—one of my most-quoted Bible verses is Deuteronomy 25:4, You shall not muzzle an ox when it treads out the grain. But I think those who work for non-profit organizations, especially charities, and whose living is supported by the sacrificial donations of others, have a special responsibility to live moderately. The larger fault lies with our star-struck, personality-worshipping society, however. We breed such problems. Porter once spent a summer in Bangladesh, back when merely being white automatically sent you to the front of a line. In fact, that was his chief duty while working for a charitable organization there: to accompany the Bengali workers on their errands, thereby ensuring that they could purchase bags of cement, for example, before the supply ran out. It does not take many such occasions of deference, he reported, to begin to take them for granted, and to believe, even against your will, that you somehow deserve them. How much harder must be the temptation for big-name personalities to absorb the idea that they deserve, or even require, special treatment, and luxuries inappropriate to their calling? Human nature longs for heroes to worship. But doing something great does not mean a person is great. We can do much good without being truly good. Which is a very good thing indeed, because even the best of us are frail, fallen humans. Mortenson's sins do not make the work of the Central Asia Institute any less valuable, though they do clearly underscore the critical importance of financial safeguards and accountability. Helpful Pollution? As one who remembers filthy rivers—that sometimes caught fire!—and the choking, sickening smell of toxic smog, I'm the first to hail the dramatic reduction in industrial pollution that has been accomplished in my lifetime. However, a recent study of the effects of aerosol pollutants on clouds indicates that the climate equation is—surprise!—a bit more complex than we want to believe. "When industrial pollution peaked over the Atlantic, this effect played a big role in cooling the ocean beneath," Paul Halloran, a study co-author and ocean scientist with the British government's Met Office weather service, said in a statement accompanying the study. "As pollution was cleaned up—for example after the clean air legislation of the '90s —the seas warmed." It turns out more aerosols make clouds brighter and longer lasting, thus reflecting sunlight back up and cooling seas. Less do the opposite, warming seas. Among the consequences of a warmer Atlantic? The end of our 40-year respite from intense hurricane activity. "While cool phases correspond to periods with lower hurricane activity in the North Atlantic, "they are also linked with widespread persistent African drought (1970s and 1980s)—with all the associated food and mortality related impacts." The moral? If a situation appears simple, clear, and easy to analyze, we're probably missing something important. As noted in a previous post, I've been having a blast with the just-released 1940 census. I did not use Ancestry.com's census site as much as I had hoped, as the locations they chose to upload first were not the ones I was, at the time, looking for. (Their census maps were invaluable, however.) Initially I had to depend on the National Archives' site, which was more than a little frustrating, as they had seriously underestimated how high demand would be, and the system crashed early in the day. By the next day it was up, but slow. Still, I didn't mind too much clicking "next page" and then doing something else for a while. What was most exasperating was the inability to choose to go to a specific page number without going through the agonizing "next, next, next" process. I found Steve Morse's site more useful than the NARA's site itself, even though he links to the NARA images. Don't ask me how he did it, but I got a much faster (though still slow) response time for the NARA images through his site than directly from theirs. Easiest of all to investigate were my Florida relatives, as Florida was one of the first states uploade by FamilySearch. They, at least, know the value of the ability to "go to page 5"! Their save image function worked better than the NARA's did in the early days, also. The great news is that Ancestry.com says it will have every image online by no later than 2 p.m. tomorrow (Friday). 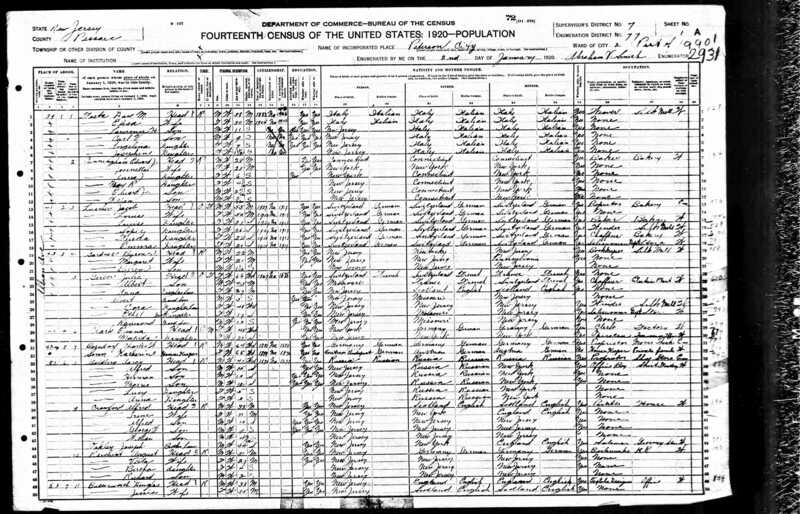 Remember, the 1940 census is free on Ancestry for all of 2012, and much more of Ancestry's impressive content is free until April 10. 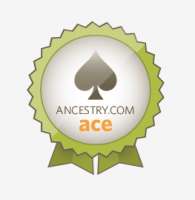 FamilySearch is always free. Ancestry's YouTube channel has a number of videos that might be helpful for someone who wants to dive into this. As for me, I plan to investigate the Ancestry site once the database is complete, but basically I'll have to wait until the images have been indexed to do much more. I found all eight of our grandparents and their families, plus a few others who were nearby, because I already knew where they were living in 1940. For those whose location I'm trying to discover, it makes no sense to spend hours and hours pouring over census images when merely waiting will make the job so much easier. I'll admit it's fun, though!